While I was away having a fantastic time at Bouchercon, a new issue of Eat Drink Films went live featuring November’s installment of my Down the Hatch cocktail column. 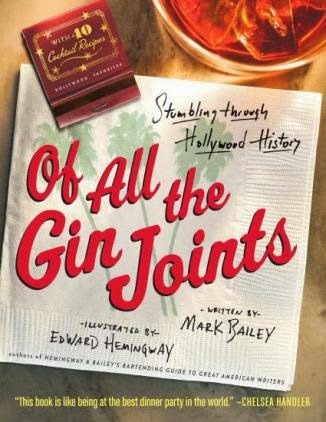 I review the new book Of All the Gin Joints: Stumbling through Hollywood History, written by Mark Bailey and illustrated by Edward Hemingway, and prepare a trio of forgotten drinks from its pages. Plenty more to see there, so why not swing on by?